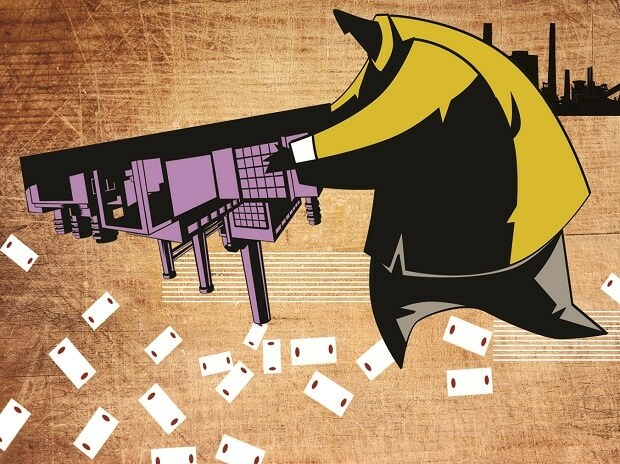 The government is unlikely to meet the Rs 80,000-crore disinvestment target by Rs 20,000 crore, leading to fiscal slippage, according to a report. Fiscal deficit will come at 3.5 per cent as against the targeted 3.3 per cent on the shortfall in disinvestment mop-up and also the dip in the GST collections, domestic rating agency Care Ratings said Friday. "In this fiscal year, meeting the disinvestment target of Rs 80,000 crore will be challenging given the volatile conditions in the financial markets. We expect that disinvestment proceeds could be around Rs 60,000 crore for FY19," it said, adding in the past four years, it has not been able to achieve the divestment target except in 2017-18. On an average, the government has achieved nearly 65 per cent of the budgeted divestment target between FY14 and FY17, it said, pointing out that FY14 was the lowest with divestment proceeds being only 53 per cent of the targeted. In FY18, total disinvestment proceeds came in at Rs 1 trillion, exceeding the budgeted target of Rs 72,500 crore, the report added. With a little over two months to go for the fiscal year to end, the government had raised Rs 32,142 crore, or 43 per cent of the target as of December, it said. A bulk of Rs 25,325 crore has been raised through the Central public sector enterprises exchange traded fund (ETF) route, which allows simultaneous sale of government stake in various CPSEs across diverse sectors through single offering, it said. Offer-for-sale comes in second with Rs 5,218 crore, followed by over Rs 1,500 crore raised through buybacks. As the government is far from the target, it has decided to come up with another tranche of ETF in the form of further fund offer of Bharat 22 ETF, and can raise about Rs 14,000 crore by selling 52.63 per cent stake in Rural Electrification Corporation, the report said.